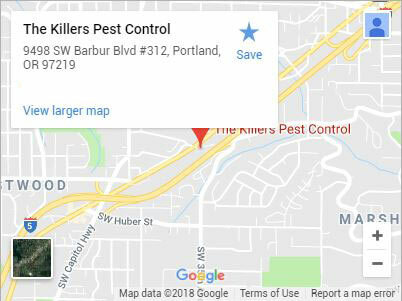 For a skilled exterminator in Tualatin, ask for The Killers. When you need an exterminator there are many factors that need to be considered first. How much experience have they had? Will they know how to identify your pest? 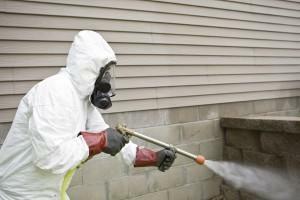 Does your exterminator provide comprehensive extermination that covers your property on multiple levels? With more than 30 years of industry experience and extensive training, your Tualatin exterminator takes all the necessary steps to make sure your problem is eliminated in its entirety. When you hire one of our exterminators you should know you won’t be getting control. We believe that in order to provide our customers with truly outstanding extermination services requires complete elimination of the problem. Time is of the essence when it comes to pests. There is a whole host of reasons to get an exterminator as soon as possible. Personal Health – Pests don’t just cause damage to their surroundings, but can actually be the cause of some severe health problems. Deer mice are known to be carriers of the hantavirus. This deadly virus can prove fatal and is easily contracted through contact with mouse waste and saliva. Cockroaches constantly leave trails of fluids so they can find their way home. These can cause allergies, and young children can be especially susceptible to the effects. Waiting on an exterminator extends the likelihood of medical problems due to an infestation. The sooner you call an exterminator, the sooner you know your family will be safe. Property Damage – Pests can cause extensive damage to every area of your property. The damaged areas are useful to your exterminator when identifying what pests you have encountered, but the longer you wait to bring them in, the more damage you face. 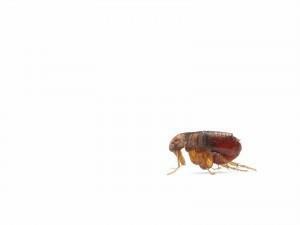 Many creatures like carpet beetles and silverfish consume common materials that exist throughout your house and can cause a significant amount of damage in a small amount of time. Pest Growth – Many pests have a very short gestation period. Fleas can start laying eggs mere days after hatching, and an average period from egg to maturity can take as little as 2 weeks. This is not unique and it is easy to see how quickly what seemed like a small problem has now spiraled out of control. Many pests may split off and create new nesting sites after enough time as well. An exterminator in Tualatin can begin to eliminate your infestation before it grows out of control. When you need a professional exterminator in Tualatin, call (503) 885-2666 or contact us today for the exterminator Tualatin knows and trusts. Tualatin is a laid back town in Oregon with a deep appreciation for history and the great outdoors. This appreciation is most present in the Tualatin Historical Society. This non-profit has been responsible for putting on many local festivals in Tualatin including harvest festivals, twilight cemetery strolls, and barn dances. Tualatin is also home to a burgeoning green movement seeking to keep the area clean for future generations to enjoy. The Tualatin River Keepers work tirelessly to promote river health and teach young and old alike about the benefits of preserving our surroundings. Albany, Beaverton, Canby, Clackamas, Corvallis, Gresham, Lake Oswego, Lincoln City, McMinnville, Milwaukie, Newberg, Newport, Oregon City, Portland, Salem, Sherwood, Vancouver WA, West Linn, Wilsonville, Woodburn and more!